It’s summer, the sun is out (sometimes) – which means, ice cream time! 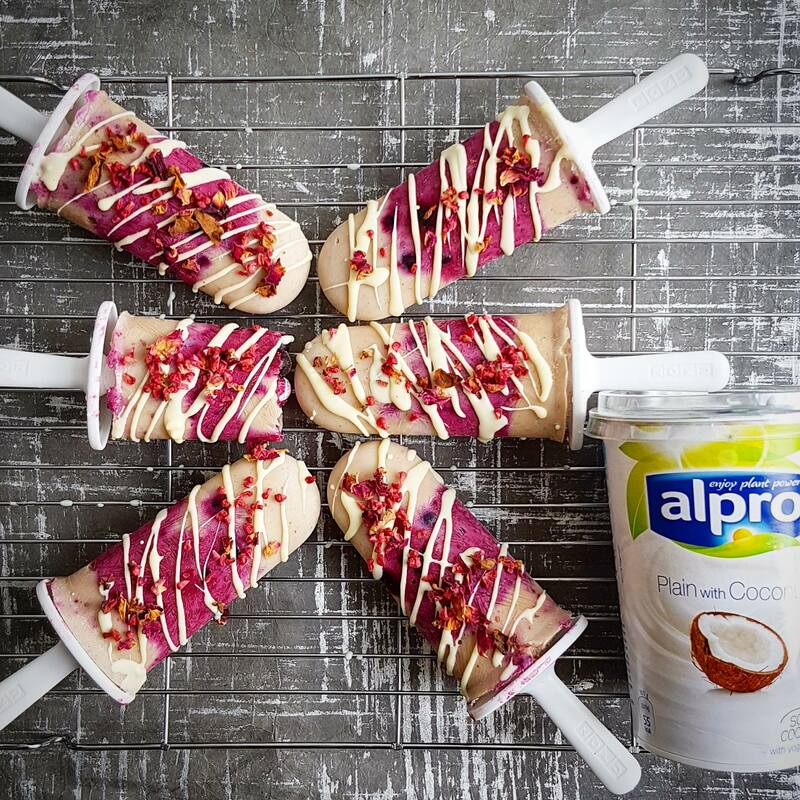 ☀ Working with Alpro I’ve created these delicious dairy-free, vegan, gluten-free ice lollies using the Coconut Soya yogurt which adds a creamy, tropical touch. Combined with a berry chia layer, have these ready in the freezer for when you want to cool down with a healthy treat! First make the coconut part – Remove the bananas from the freezer 10 minutes beforehand to allow to soften slightly. Place them and all the other ingredients into a blender and whizz up for a few minutes until thick and smooth. Place into a bowl. Now make the berry chia part – Put 150g of the frozen berries, the coconut yogurt and milk, maple syrup and vanilla in the blender and whizz up for a few minutes until smooth. Place in a bowl then stir in the remaining berries and chia seeds. 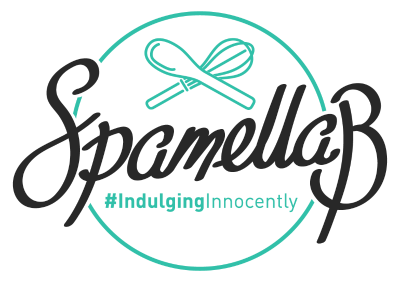 Spoon ½ of the coconut mixture between 6 lolly moulds then top with the berry mixture. Spoon over the remaining coconut layer to reach the top, then place the lolly handles in. Freeze for at least 4 hours. When ready to serve, remove from the freezer 5 minutes beforehand. 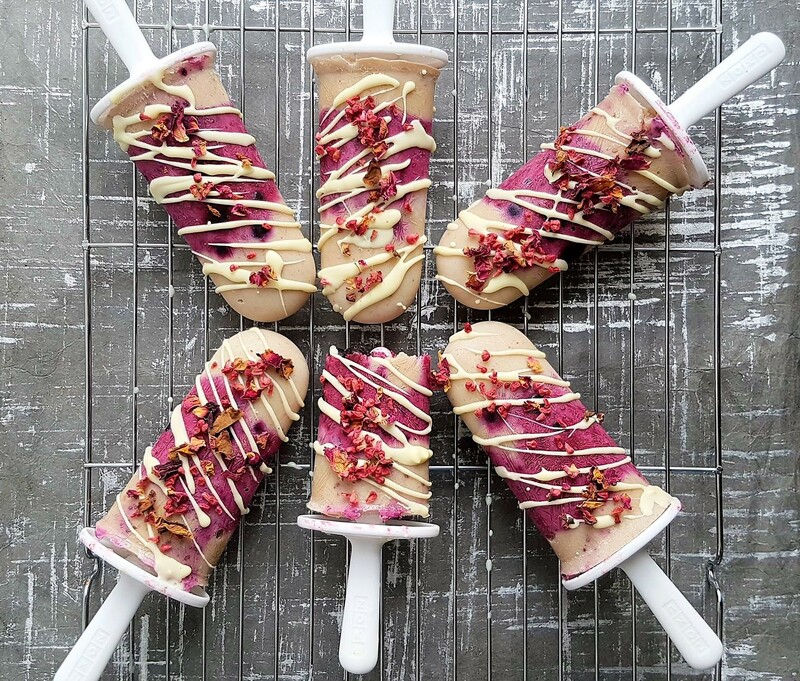 Meanwhile melt the chocolate and coconut oil then drizzle over each lolly and scatter over the rose petals. Now enjoy straight away! Keep any remaining lollies in the freezer for up to 2 weeks.